It was the spark that lit the firestorm that raged through corporate Australia this week. At a time when the country’s top financiers are on their knees in the confessional box over the appalling misbehaviour exposed by the Hayne commission, AMP’s newly anointed David Murray took a decidedly different approach when he sat down with The Australian Financial Review‘s Tony Boyd to outline his plans for rebuilding the fortunes of the deeply troubled wealth manager. Controversially, he included an attack on ASX corporate governance principles, which he argued led to directors being inundated with hundreds of pages of board papers, leaving little time to discuss major strategic issues. And he also stated his intention to put more distance between management and non-executive directors in order to bolster the authority, and accountability, of the chief executive. “We will not be guided by the ASX corporate governance principles where they either weaken accountability or distract the company to less important issues,” he said, adding that these very principles had “contributed to what happened to AMP and others in the financial sector”. A bevy of high-profile business business figures rushed to endorse Murray’s comments, joining in his attack on the proliferation of board subcommittees, that are supposed to keep close tabs on issues such as audit, risk and remuneration policies. But Murray’s comments also triggered a sharp backlash from other leading business figures, who argued that tighter governance standards had been introduced in an effort to improve the oversight of companies and reduce the frequency of corporate crises. “Those who forget history are doomed to repeat it,” sighed one top executive. “And David has forgotten all his history. What’s more, he noted, AMP was far from alone. One of Australia’s major banks – Westpac – nearly went under in the early 1990s, while its second largest insurance company, HIH, collapsed in 2001, after racking up more than $5 billion in losses. And that’s without mentioning the failure of Pyramid Building Society and the various state-owned banks. David Murray has stated his intention to put more distance between management and non-executive directors. “If you believe David, all the problems in the financial system are a result of modern corporate governance. Because things aren’t perfect, he argues that corporate governance hasn’t improved things,” he said. Leading chairmen disagreed with Murray’s criticism that the system of board committees had led to a blurring of responsibilities between management and directors, because they increased contact between board members and senior company executives. “Of course, there haven’t been any issues with CEOs not sharing information with boards,” one remarked sardonically. Kerr Neilson agrees that there are often unrealistic expectations placed upon boards. There was also widespread surprise that Murray had chosen to go down the “CEO is king” approach, given the revelations that emerged about the behaviour of senior AMP executives at the Hayne commission. AMP conceded that it had continued to charge some customers for financial advice that they were not receiving, and had misled the corporate regulator, the Australian Securities and Investment Commission, claiming that its fee-for-no-service was a mistake, even though it was deliberate policy. “It’s not like the board told the chief executive to keep charging fees even though no services were being provided – that was clearly driven by management,” noted one leading executive. “And it’s not like the board decided, ‘we should just lie to ASIC’ – that was also clearly driven by management. But, Murray’s comments also fuelled broader debate among the country’s top fund managers about whether board members had been saddled with unreasonable expectations. This, he said, was burdening directors with increasing amounts of compliance work. Kerr Neilson, the legendary investor and founder of Platinum Asset Management agreed that there were often unrealistic expectations placed upon boards. “The problem with non-executive directors is the degree to which they can really grasp the inherent workings of the business. To some extent the board papers really only give access to a very limited amount of that. “And so there can be this illusion of control, with the board feeling that they’ve made a good contribution in terms of the general direction of the company. And, he noted, there was a risk that the existence of the directors’ club could further reduce independent thought. But this raises the even more fundamental question of what exactly do we expect from company boards. Most experience directors agree that the primary responsibility of boards is to appoint a good chief executive, and to get rid those who are unsatisfactory. But the board is also meant to provide an intelligent second view of the company’s policies particularly with regard to risk. For instance, directors say, it is the board’s role to question whether the company was using an overly aggressive accounting policy. Finally – and this is much more contentious – there is general support for the idea that the board has some responsibility to ensure that the company’s behaviour broadly meets community expectations. Interestingly, most senior corporate leaders downplayed the suggestion that board directors should be able to tap into their own corporate experience in order to offer specific advice to senior executives. “These businesses are big, they’re complex, so it’s very rare for directors to be able to come up with new ideas,” said one highly regarded executive. “You’ve got highly experienced management, who, if they’re any good, are working every day of the week,and know exactly what their competitors are doing. Still, he added, good directors could provide senior executives with wise counsel. So why did Murray’s comments this week trigger such an outpouring of angst from the ranks of directors? 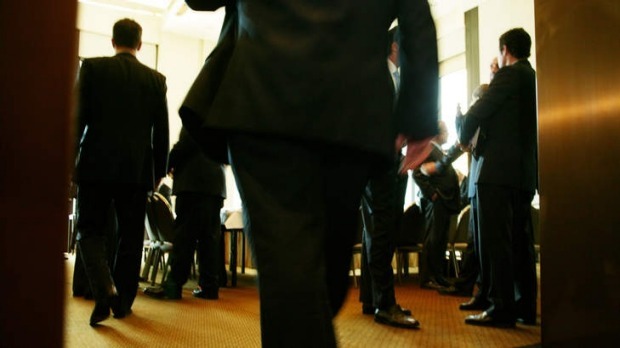 “A lot of directors are cheesed off that they’re overworked and under-appreciated, and they complain to each other about the obligations that ASIC and APRA [the Australian Prudential Regulation Authority] are imposing on them. So it’s a bit like an echo chamber,” explained one highly regarded director. 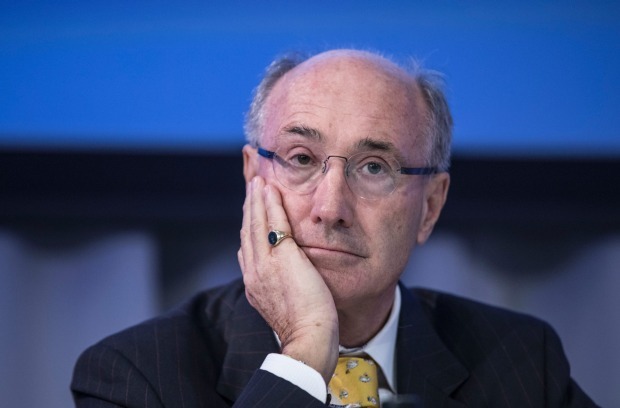 Others saw Murray’s comments as reflecting the sort of relationship he wanted to have with his own board when he was the chief executive of the Commonwealth Bank between 1992 and 2005. “I wonder whether he realises that he is now a chairman and not a chief executive,” mused one highly regarded director. Others noted that anyone interested in becoming the next CEO of AMP – and the company is in the hunt for a new boss after its previous CEO Craig Meller suddenly stepped down in April – would be extremely encouraged by Murray’s description of how he saw the relationship between AMP management and the board working. Others, however, thought that Murray could be signalling to other AMP directors how he wanted the board to operate. “David could be saying, ‘I will handle things with the CEO. Don’t you worry … just stay out of my way,'” said one seasoned board director.